Right, so we have The Schedule. But…I mean, what good is it, except that I have it and can read it? Me having all of the knowledge is nice, but essentially useless. 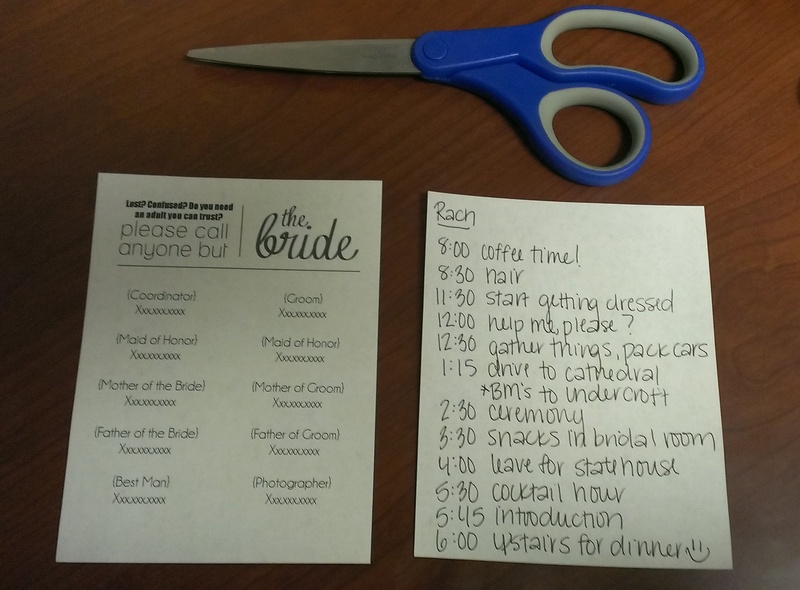 I mentioned at the end of my last post that the most important thing was to give someone else the schedule on the day of the wedding, and it really is! So who did I give the schedule to? Well…everyone. Enter: The Packet. In 2008 Mrs Daffodil introduced The Packet to Weddingbee. Granted, I wasn’t reading at that time, but I’d heard it mentioned a few times over the years, and knew it would be the perfect communication tool. At twelve pages, my version of The Packet is a bit shorter than the original, but just as helpful. 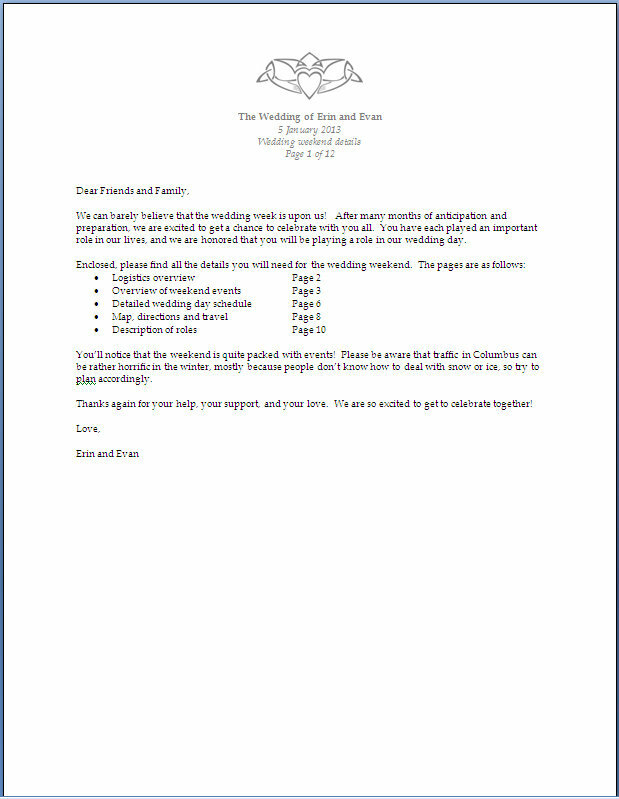 Included are: Key Contacts and Addresses for the entire weekend; an Overview of all Events including date, time, contact info, attendees and a dress code suggestion; a Photo List for the formals; a detailed day-of Schedule in a more readable format; Maps and Directions; and Description of Roles. Whew. Hive, I know what you’re thinking- that’s a lovely packet, Mrs Gloves, but it’s twelve pages long and no one is going to a) memorize it or b) bring their copy to your wedding. So true, hive, so true! Enter: The Cards. Alright, hive- that’s about it for scheduling. I have posts coming about my to-do list(s) and how I organized my vendor search…am I missing anything re: organization? Do you guys have any awesome hints that I didn’t mention? Or are you just glad you have a planner/coordinator to handle it for you?